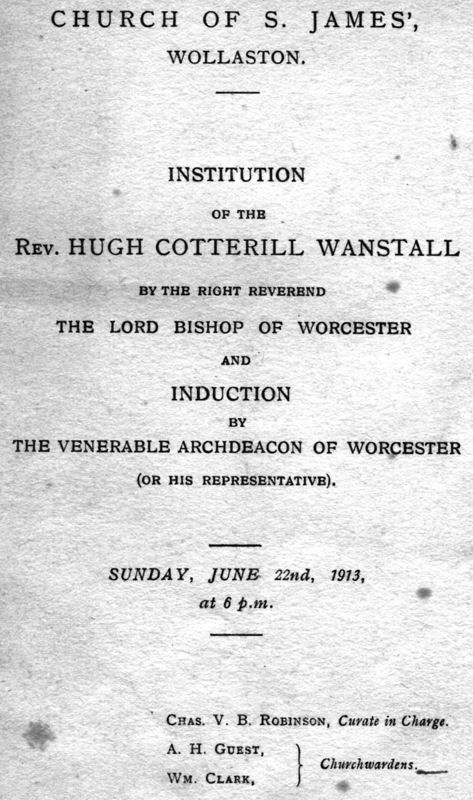 After the death of George Gilbanks, the first vicar of St James’s Church, Hugh Wanstall was appointed to the living. He came from Rugby where he had been a pupil and, prior to his move to Wollaston, had taught at Rugby School and acted as a senior curate at St Andrew’s Church. 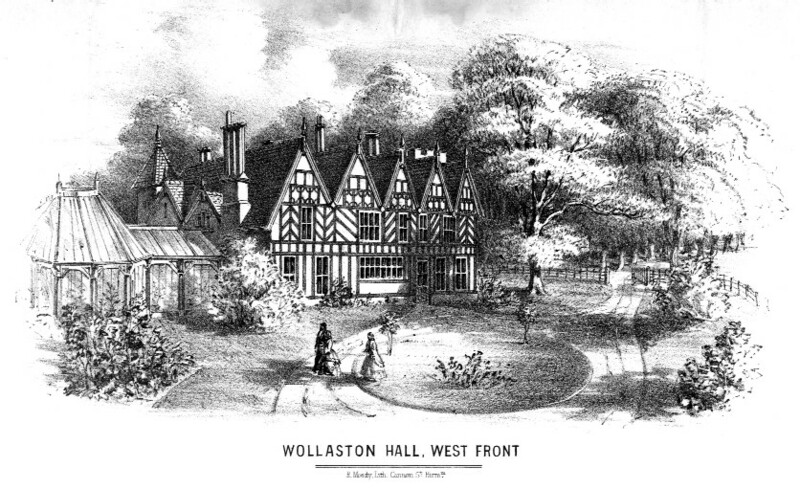 His induction was held on 22nd June 1913 and he moved to live in the Vicarage. As he was unmarried his widowed mother joined him and took on the role that a vicar’s wife usually held. She ran a Bible Class and was active in the Mothers’ Union. Her signature appears on the Baptism certificates which were given to all children baptised during Hugh’s incumbency. Hugh died on 29th April 1933.